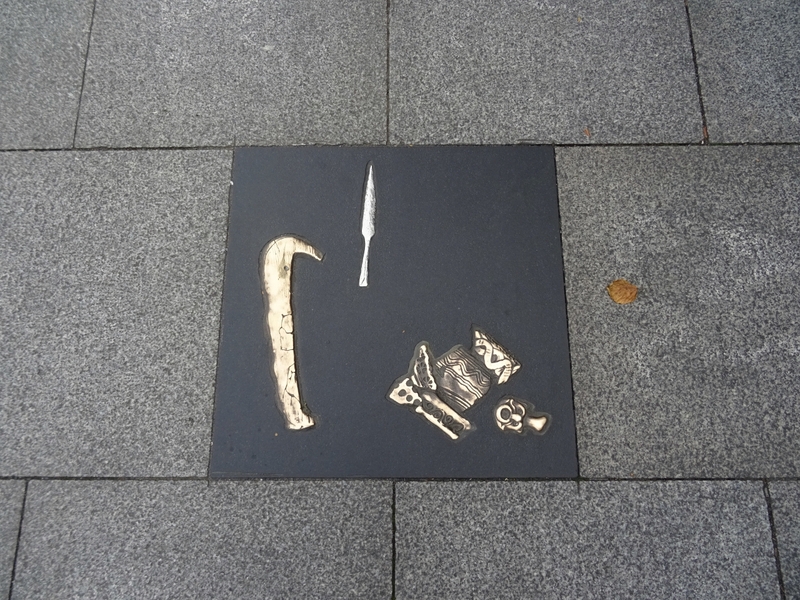 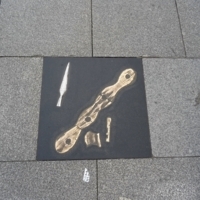 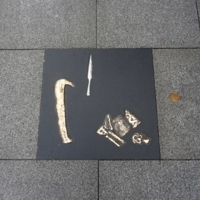 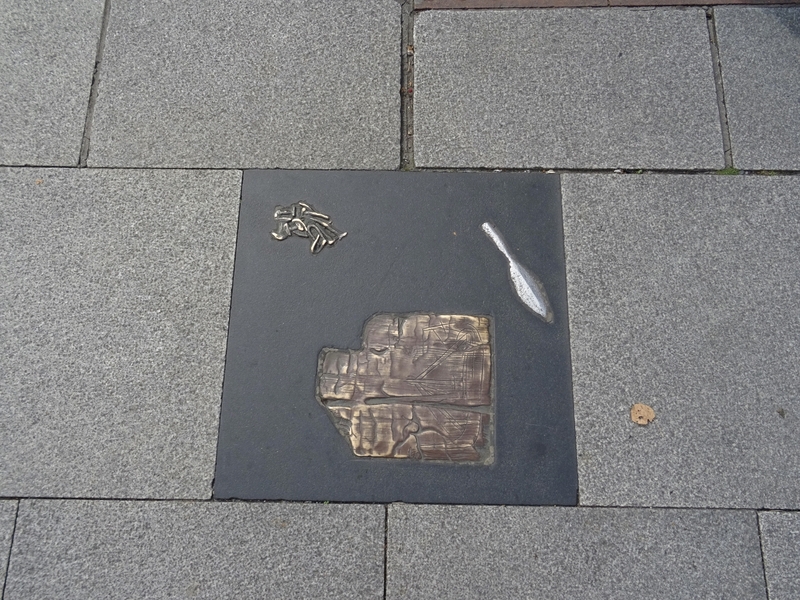 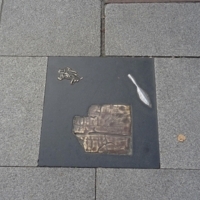 There are several bronze plaques around the Wood Quay area (the centre of Viking Dublin) which indicate where artefacts were discovered in the city. 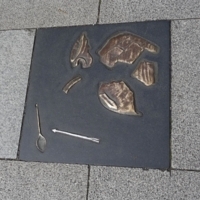 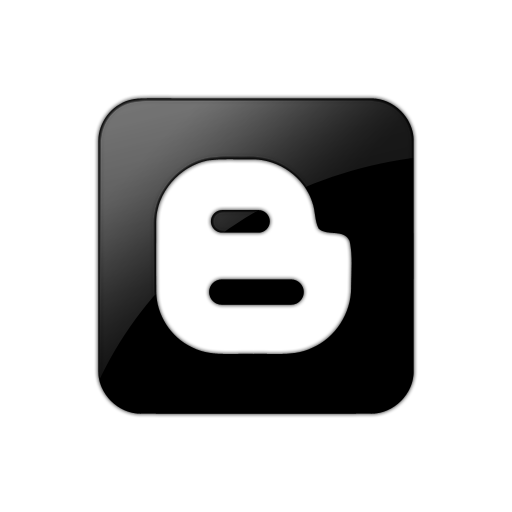 Some of these artefacts can be viewed in the National Museum. 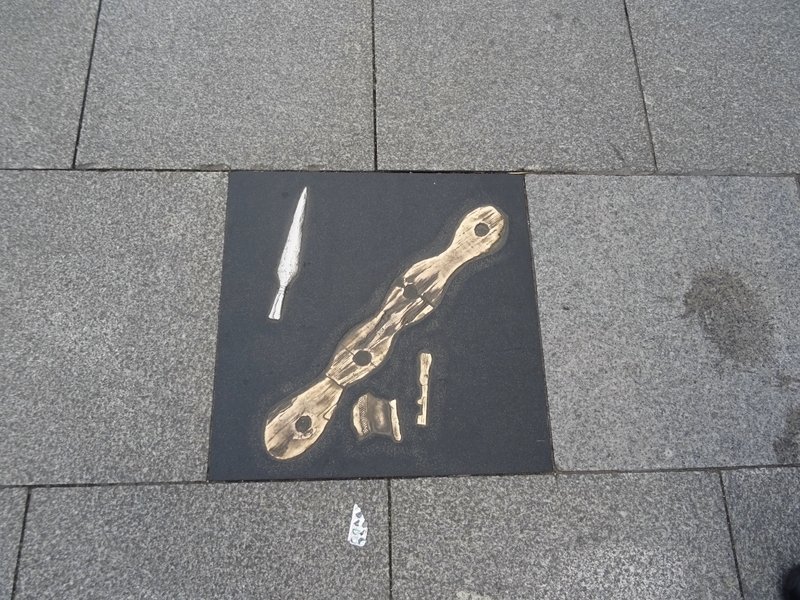 Erected by Dublin City Council.